While writing my last post on the Victorio VKP1014 4-Tray Kitchen Seed Sprouter, I included a link to the instructions for my specific tower (I found those instructions from a reviewer of the product on Amazon). I had purchased this tower several years ago and I lost the instructions. When I got back into sprouting recently, I just guessed at how much seed to put in each tray. Well, the amount of seed matters – imagine that!! After reading the instructions, I realized that I was putting way too much seed in each sprouter — maybe 3 times the amount. Because of that, I felt the need to stir the seeds with each rinse/drain cycle. I hope that this helps! Let me know if you have a question or a comment! Thanks for reading. If you enjoyed this post, please click the “LIKE” button and consider subscribing via email, Twitter , Pinterest or your favorite reader. I’m also on Instagram. A few years ago I purchased what I refer to as a sprouting tower. 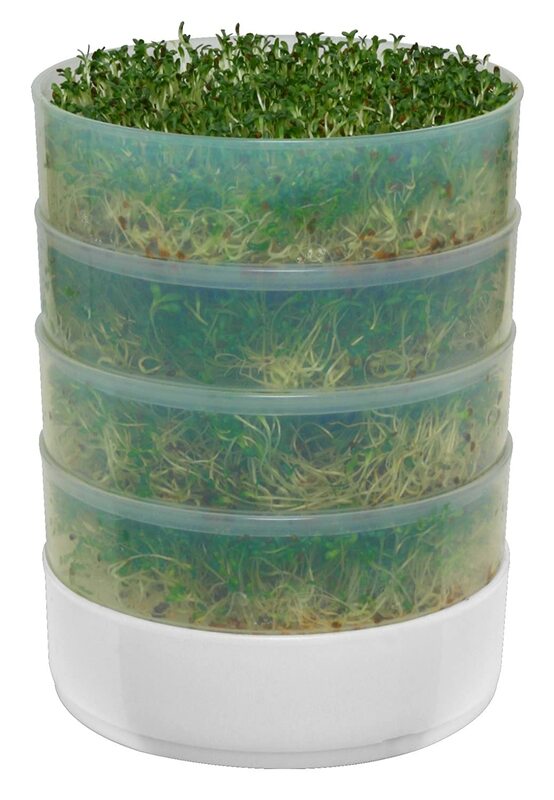 Sprouting towers can be trouble but you might be able to get yours to work for some seeds. Some of the complaints about them is that seeds don’t sprout well in them or the seeds start to rot. 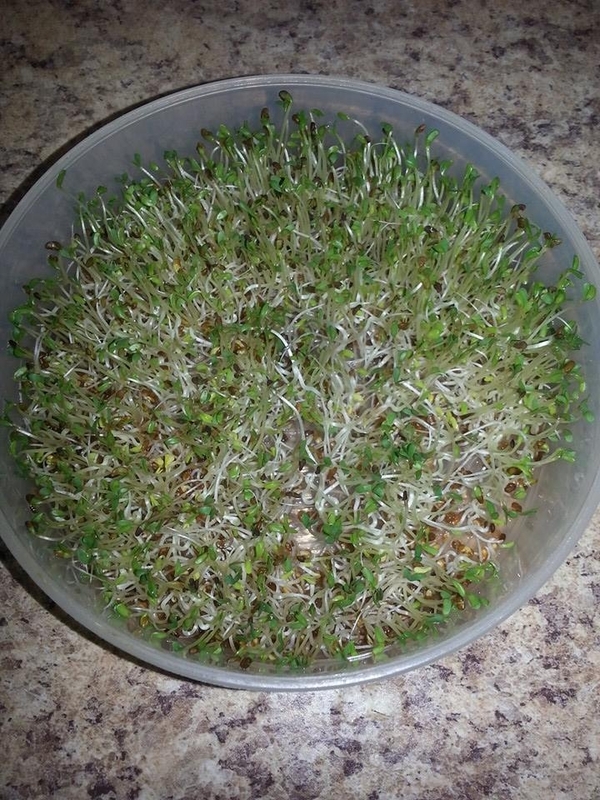 You might think that this is a magical little contraption into which you just put seeds in, pour water in the top tray twice a day, empty the bottom tray of water, and in a few days, you will have sprouts. Well, it doesn’t quite work that way — at least for some people and some seed. You have to give the seeds in a tower a little more attention than those sprouting in a jar. I actually do like the tower for alfalfa seeds. However, when using a tower, I have found that I can’t just pour water into the top and remove the water from the collection bin at the bottom. The seeds need to get some air and need to get stirred (with my finger) when I put the water in. So, twice a day I take the tower apart to give the seeds in each tray air while I am giving each of the trays some fresh water. I pour the water in, sniff the trays to make sure that the sprouts smell as they should, swirl the water and seeds around with my finger. (I plan on posting about using 4 of your 5 senses when you are growing sprouts). Then I stack the tower trays back up until the next rinse/drain cycle HOWEVER I DON’T snap the lid on (that would prevent good drainage). I simply place the lid on loosely. I also make sure to watch closely for when the trays need to be cleaned with soap. They can start to get slimy around the underside rims. Also, the tiny holes can get clogged. You can use a paper clip end to clean them out or use your mouth to blow out the clogging seed or hull. These towers are about $20 each. I’m not sure that I’d buy one again but since I have it and I’ve learned how to make it work for me I do use it — pretty much exclusively for alfalfa seeds. I’d love to hear from you. Do you use one of these towers? If so, what has been your experience? I set the oils aside and measured out my distilled water in a pyrex measuring cup. I set that aside and measured out my lye in a dedicated small plastic container with a wide bottom. I like to use wide-bottomed containers for my lye and for the container that holds the water to which I will add the lye. The wide bottoms give them more stability — less likely to dump over if accidentally bumped. Then I added my lye to the water (NEVER the other way around) and stirred it with a plastic spoon until all the lye dissolved. Then I cooled the lye water in a bowl filled with ice. I cooled it this time because I used sodium lactate in this batch and the instructions say that you add it to your cooled lye water. I was afraid of what would happen if I added it to hot lye water. Sodium lactate helps to harden soap bars which will help them last longer. Then I added my lye water to the oils pot and used my immersion blender to bring it to a medium trace. For this batch of soap, I divided my soap batter into three portions and colored one portion with prepared* Ultramarine Violet Pigment from Brambleberry and the other portion with prepared* Hydrated Chrome Green Pigment also from Brambleberry. The other third I left uncolored. Then I poured one of the colors into the uncolored portion at 4 different places. I repeated that process with the other color. Then I took a chopstick and passed through each spot twice. The reason I did it twice rather than once was because I was at a thick trace and the first pass didn’t seem to move the colors much. I didn’t want to combine the colors so I was careful not to swirl too much in the pot. 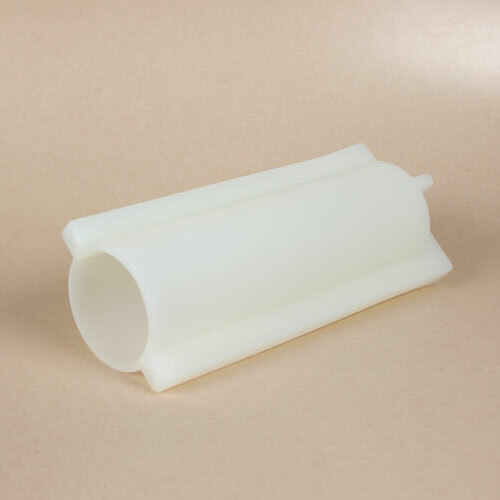 I used this silicone cylinder mold that I bought from Brambleberry. This was my first time using this mold. This is a well-constructed mold. There was a little bit of leaking into the seams but that doesn’t bother me. I could clip the sides with some heavy duty clips to try to prevent that but otherwise I just can slice off the edges. I have no illusions of “perfection.” I purposefully made more soap batter than would fit in this mold because I wanted to make a few snowflake-shaped soaps. I have a snowflake-shaped muffin pan made out of silicone that I use for molding soap and hard lotion bars. Here is the photo of the cut bars. I forgot to take a picture of the unmolded cylinder of soap before I cut it. Oops! I give this book 5 stars! 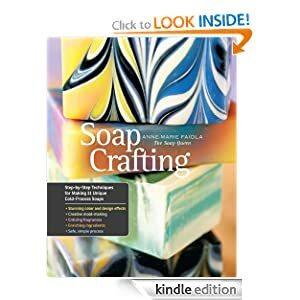 This is my FAVORITE soap crafting book. Anne-Marie is truly the “soap queen”. I have tried several of the projects with my own twist on them and I have been soooooo happy with the results. If you have made cold process soap before, you should feel comfortable tweaking each recipe to fit your needs or the oils that you have on hand — of course, you’ll have to run your tweaked recipe through a lye calculator but that’s no big deal. I was fortunate enough to snag the kindle edition for less than $4 before Christmas. I see now that it is back up to $9.99. Be sure to check out my other book reviews and recommendations on this page. 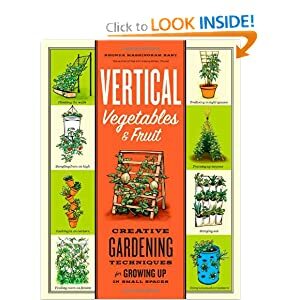 This year I put an emphasis on growing more vertical (vining) plants with inspiration from a great book called Vertical Vegetables & Fruit by Rhonda Hart. One of the plants that she recommends in the book is Malabar spinach. So this past winter when I made a seed order from Johnny’s Selected Seeds I included Malabar spinach in it. I started 6 seeds in my basement seed growing area in the spring. I was surprised that only one seed germinated and that one grew very slowly. It finally did grow very well once I put it outside when the heat came. I also direct-seeded some in early summer. Unfortunately, I didn’t place those well — they don’t get enough sun (because of my 8 foot tall tomato plants to the south of them). From the one vigorously growing plant that gets a lot of sun, I enjoy plucking leaves every day for my green smoothies and veggie sautees. Good day, friends! I want to share with you today my review of a board game that introduces children and adults to wild edible and medicinal plants. The board game is called Wildcraft! An Herbal Adventure Game created by Kimberly Gallagher with herbalist John Gallagher and artist Beatriz Mendoza. I purchased this game 2 months ago and I receive no monetary benefit by recommending this product to you. 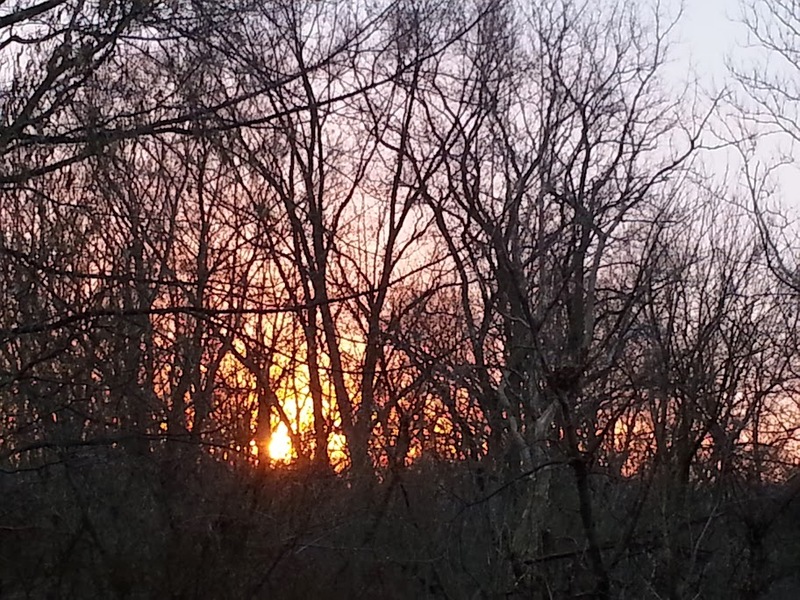 I wanted to write this post because my family is wild about Wildcraft! I don’t have to twist my children’s arms to play it — they ask us to play it and they have shared their enthusiasm for the game with others (such as Nana and cousins). Actually, my two oldest realized that they can play without mommy or daddy and play it at least once a week on their own. Of course, their enthusiasm is not the top reason that I take the time to write this post for you. The subject of the game, wild edible and medicinal plants, and this terrific approach to learning them is the top reason. I have written several posts on wild edibles (1, 2, 3, 4) because I am enthusiastic about fresh, local, nutritious and free food; I desire to share my first-hand knowledge of wild edibles with you because I believe that you might share or acquire my enthusiasm for wild edibles. I use herbs for health and specific ailments and have done so for the past 6 years or so but I would not call myself an herbalist or herb expert. Of course, I always want to learn more and I pick up herbal knowledge here and there, as needed. As with other things of importance in life, I want to teach my children about wild edible and medicinal plants. My oldest (who is 8 years old as of this writing) can identify quite a few wild edibles and he, like his mother, loves to share with others his wild edible knowledge 🙂 Wildcraft! board game is a great way to reinforce the things that we have already learned as well as to learn even more. My middle son (age 6) really enjoys the game for the “adventure” of the game, the matching aspect, the cooperation aspect, and, like the Gallagher’s children as explained here, the shortcuts and slides of the game. I love the fact that they are learning the names and pictures of useful wild plants. For families who have no or little previous experience with using wild plants, it gives an introduction to the concept that nature provides plants to help us stay healthy, to heal our wounds and ailments and to meet our nutritional needs. Unfortunately, many children and adults in our “fast food and drug store” culture have never been exposed to those ideas. For various reasons, many people from that culture decide to pursue a more natural path for their health and well-being. This game is a terrific help for newbies to learn some of the wild edible and medicinal plants that nature provides. While I do really love the game, there is one thing that I was disappointed in. The game does not teach any specifics on how the plants can be used to cure ailments or to fulfill hunger. One of the top things about eating wild edibles is learning which part of the plant you can eat, at what stage in development you can eat it, and how to properly prepare it (i.e. does it need to be boiled in 3 changes of water?). Some plants have edible and toxic parts so it is vital that you know those things. It’s the same with medicinal plants. You must know which part is safe to use, how to prepare the part, how to use the part (i.e. is it safe to ingest or can it only be applied externally? ), and how much to use. The creators do acknowledge this and have provided a lot of freebies (e-books including a cookbook and a 10-video beginning herbal lesson series) to help you learn how to use the plants to meet your health needs. I personally went through the 10-video herbal lesson, learned from it and enjoyed it. The price is $37.00. For some, that price might seem a bit high for “just a game”. I certainly understand. For our one-income family, it was money well-spent. We will continue to enjoy playing this game, learning better and better how wild edible and medicinal plants can help us. And we will continue to learn the deeper learning material offered as freebies including a monthly herbal newsletter. If you are on the fence about spending that much on a game, here is some great news — they guarantee that you will love Wildcraft! or they will refund your money AND you can keep the game! Even if you do not have children in your life, as long as you have another person who is also interested in learning wild edible and medicinal plants, I highly recommend that you get and play the game together and, of course, learn and start using the plants in your cooking and for your minor ailments. Of course, if you are on prescription drugs, you should consult with your physician to make sure that the herbs that you are interested in incorporating into your “medicine chest” will not cause you problems. Unfortunately, at the time of this writing, they are sold out of the game. Their website indicates that they will have more by the fall (2013) and that you can enter your email address to be notified when the game is again in stock and available for purchase. The space to enter your email address is at the bottom of the webpage. If you have purchased this game, I’d love to hear what you think of the game!